The Zoo is a wonderful children’s book with bright and happy pictures! It a great bedtime story and learning book for the youngest members of the family. 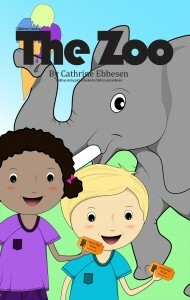 It is about two children going to the Zoo and the adventures they experience there. It is a great easy reader book with a good story and easy to understand. I have worked a lot with children in the past and in different age groups. I wanted to create a book that I could read for the very youngest and teach them about the animals, colors, shapes and numbers but at the same time also could be a great easy reader book for the older kids as well. I wanted to create two characters that could appeal to both boys and girls and in different ages. I had the idea of two happy and bright characters that would make you smile while reading the story for your children. I am a children’s books writer, illustrator and freelance designer. I have worked a lot with kids when I was younger which is my inspiration for my work. I grew up in Denmark and have since traveled around the world.